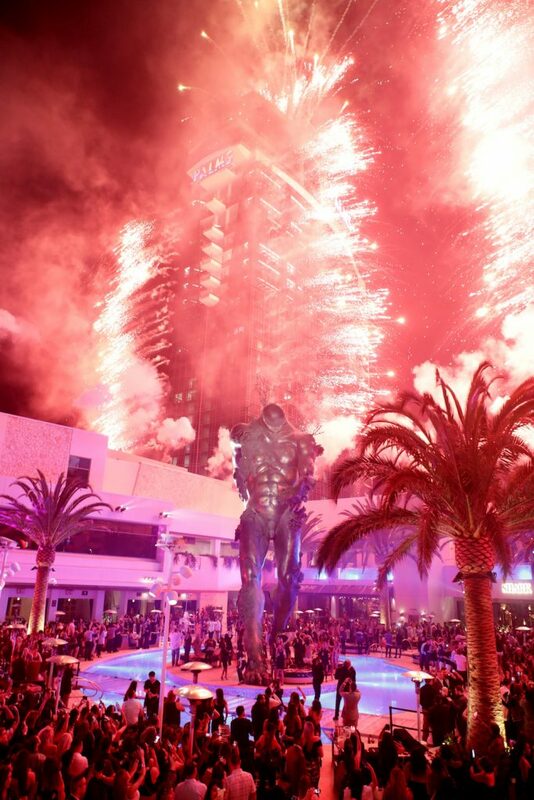 KAOS nightclub and dayclub is officially open at Palms. Positive reviews after the first weekend of events are still rolling in. The number of celebrities and the long lines to get into the new club are reminiscent of the glory days at the casino located just west of the Vegas Strip. Some people may remember the first time MTV’s Real World was in Las Vegas as the highlight of those days. My memories involve seeing Britney Spears performing at the older nightclub Rain. There were also celebrity sightings on just about every visit. These memories are more than 15 years old and it looks like Palms might be on track to building similar today. 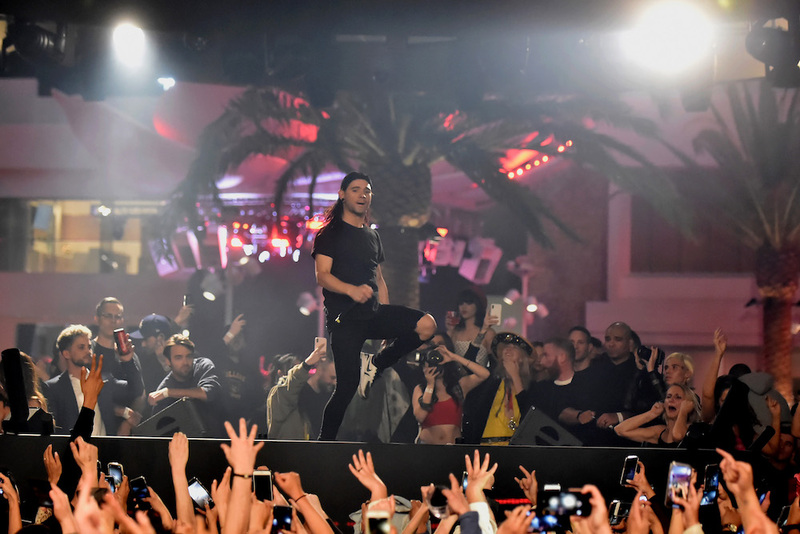 Artists performing at the various venues inside Palms during the opening weekend of KAOS included Travis Scott, Cardi B, G-Eazy, Zac Brown Band, Marshmello, Kaskade, Skrillex, and more. Celebrities in the house for the events included: Machine Gun Kelly, Cindy Crawford, Ariel Winter, Patrick Schwarzenegger, Dan Bilzerian, Reggie Bush, and tons more. The new pool complex at Palms is impressive. The 73,000 square foot dayclub pool area is gorgeous. 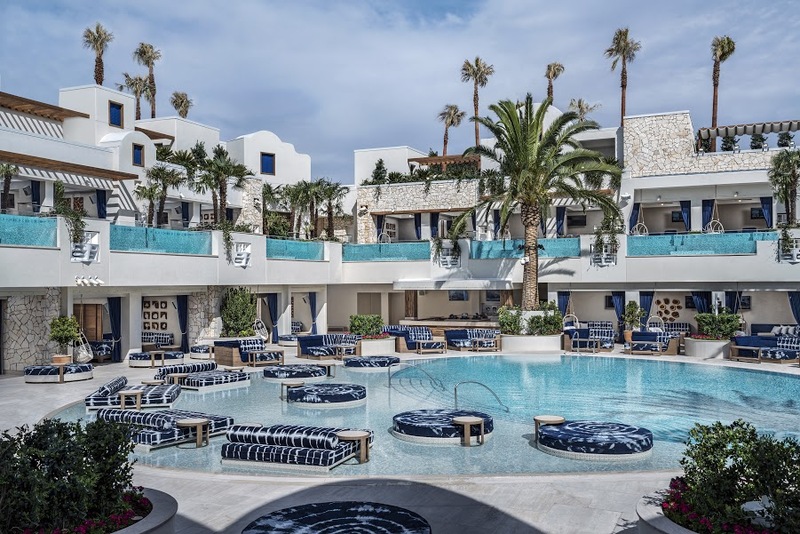 KAOS dayclub offers a luxe Greek-inspired pool experience. 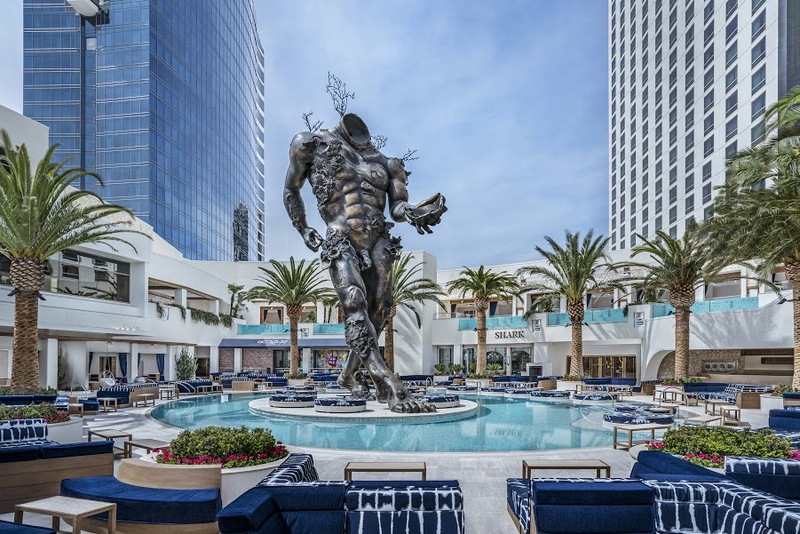 The 60-foot bronze sculpture by Damien Hirst named “Demon with Bowl” is just one of the featured elements at the new pool area at Palms. There are two main pools – one with and another without a massive headless demon. There are numerous side pools and 39 unique cabanas. Boasting the highest number of pools of any resort in North America. In addition to quantity, many of the cabanas most of the cabanas include their own private pool. The new pool area is almost its own little community. The cabana buildings are similar to a small apartment complex that surround the various main pools. The 39 cabanas at KAOS dayclub feature individual self-controlled audio systems, including subwoofers, televisions, misters, fans and all the luxuries club-goers will be looking for to have the ultimate daylife experience. The dayclub can accommodate up to 5,000 guests and has a seasonal dome cover that will allow it to operate on a year-round basis. The Cosmopolitan used to offer a similar feature at Marquee dayclub but they didn’t have it this past winter. KAOS blends the nightclub and dayclub experiences with a massive retractable glass wall/door. This allows clubgoers to easily move between the indoor and outdoor venues. The nightclub has a rotating 360-degree DJ booth that allows talent to play to both indoor and outdoor crowds. Additionally, the dayclub has its own separate entertainment stage in order to provide for multiple performance locations. The Zac Brown Band christened the outdoor stage at KAOS. Visit Palms.com For more information on events and cabanas at KAOS.